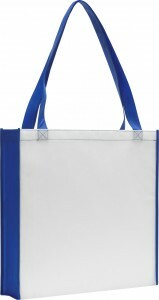 Contrast Promotional Tote Bags in Tune with the Environment. Having a clean white canvas is great make to logo stand out. But could it lead people to think your brand is a tad, boring. Now you can have the best of both worlds. 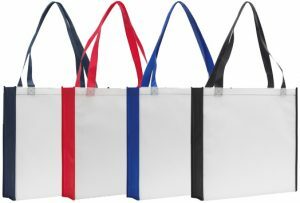 The Rochester Contrast Promotional Tote Bags start with full white front and back. 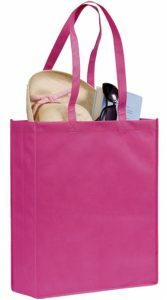 Then a splash of colour is added to the sides, handles and small contrast stitch detail. Your logo can now show clear and bright while the colour gains further attention. 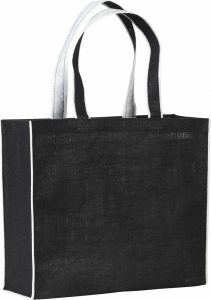 For the last final part, these are made from partly recycled Non-Woven Polypropylene. Do your logo proud, make your clients happy and save the world too. 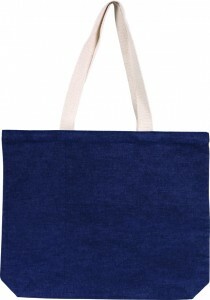 SO much to enjoy about the Rochester Contrast Promotional Tote Bags.